Click here and here and scroll to the bottom of each page and click the "I've Read" button = 10 points each. Check this out... Sign up for a 30 day free trial of Amazon Family and get 20% off diaper subscriptions with FREE shipping, exclusive baby registry benefits, plus unlimited instant streaming of movies, tv shows and songs for the whole family. 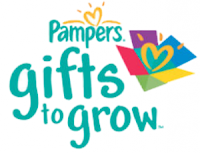 Once you have your free Amazon Family subscription set up, order Pampers diapers for even more Gift to Grow points!